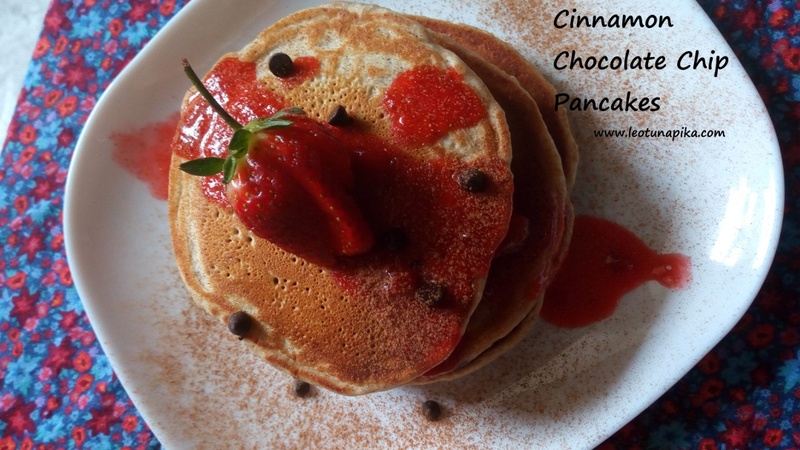 Cinnamon Chocolate Chip Pancakes - Leo Tunapika? 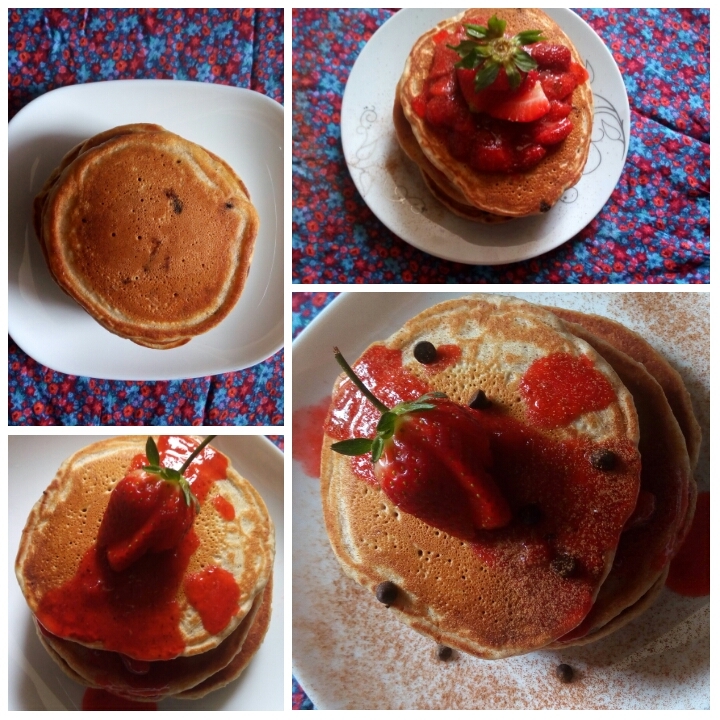 I love me some pancakes, I love making them and devouring them. It’s pretty evident considering I have quite a number of pancake recipes on here. 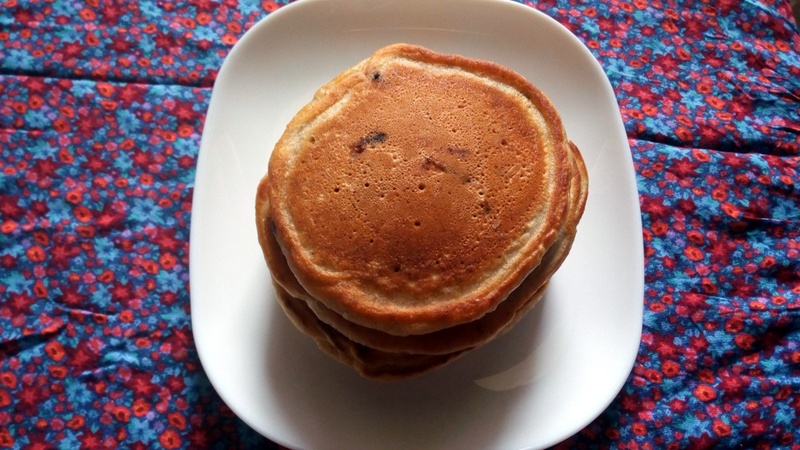 I find pancakes pretty versatile to make and you can play with different ingredients from ripe bananas,oats, raisins to chocolate chips. 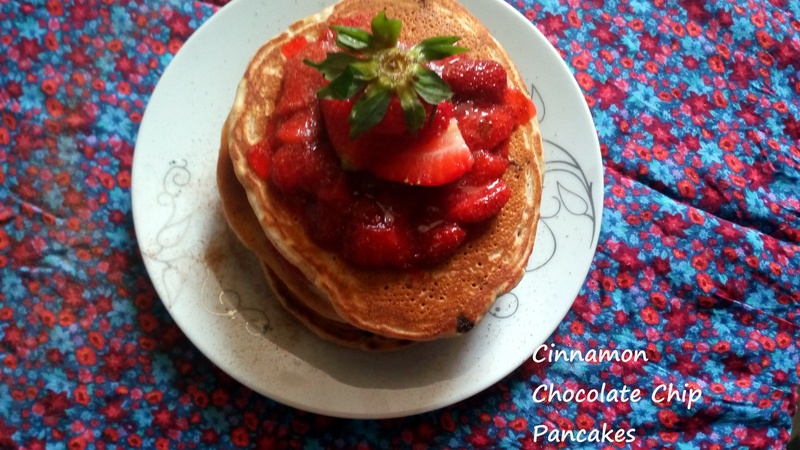 Since I don’t like them plain, this time round I opted for cinnamon as the main flavour in addition to the chocolate chips to give you, cinnamon flavoured chocolate chip pancakes. 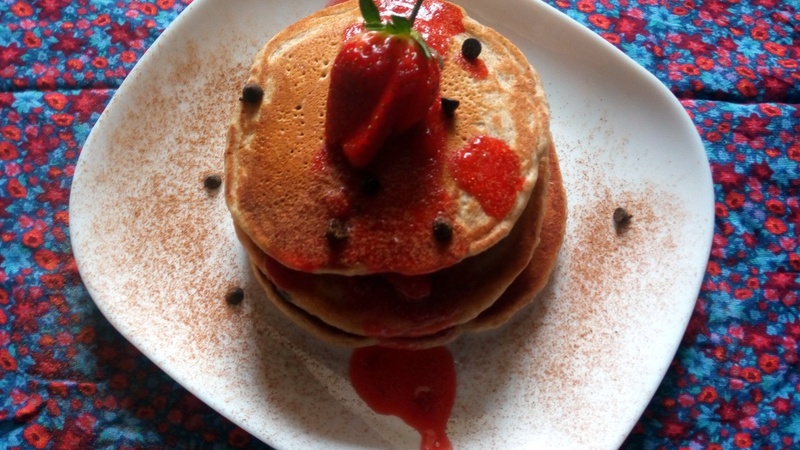 The heartwarming flavour of the cinnamon and the melting chocolate chips combined with homemade strawberry sauce yield a delightful breakfast or brunch treat. 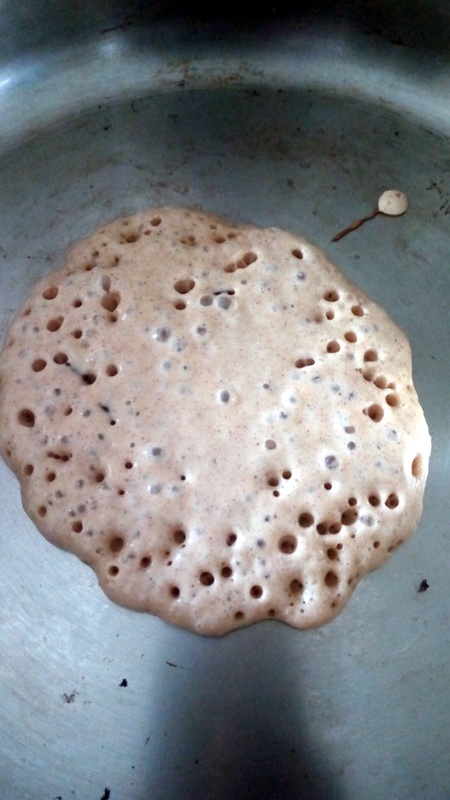 For fluffy pancakes,buttermilk or maziwa mala does the trick. 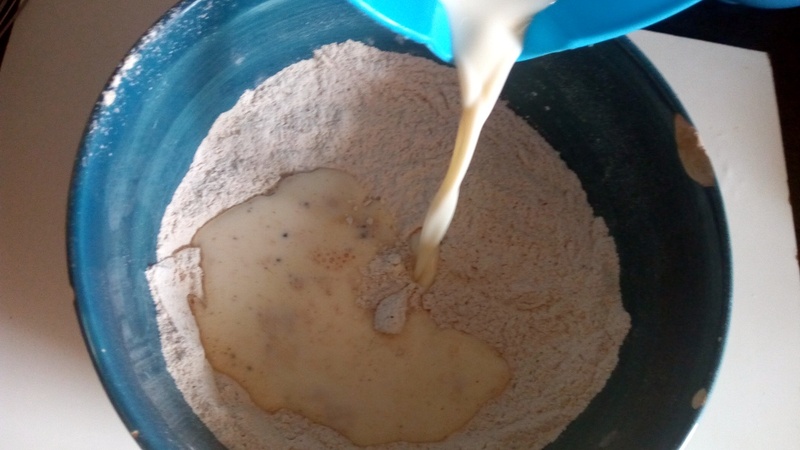 You can easily make your own buttermilk by adding a teaspoon of distilled white vinegar or lemon juice to a cup of milk then let it rest for a short while. For the batter,start by combining the dry ingredients. 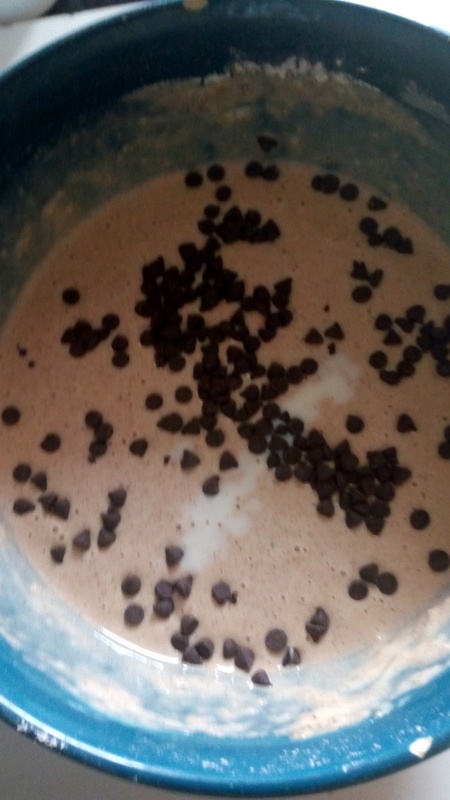 In a jug, combine the wet ingredients then make a well in the dry ingredient mixture and pour the wet in and whisk to combine. I love working with vanilla beans but it can be substituted with vanilla essence. Let the batter rest for about 10 minutes before you start frying them up, however this step is totally optional. 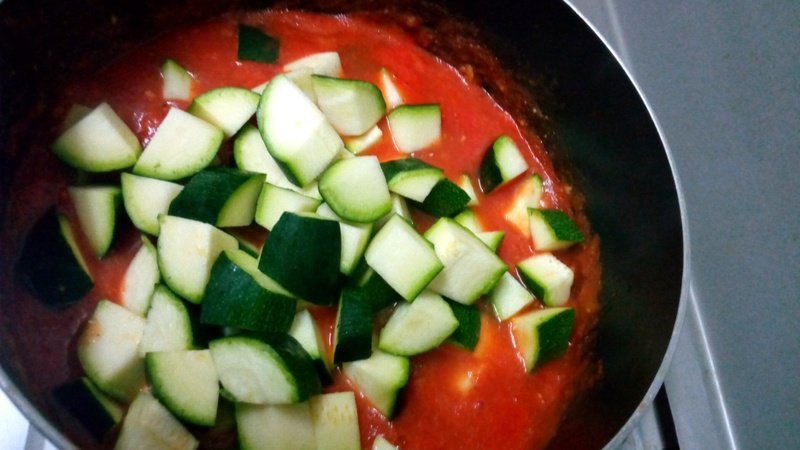 Heat up your skillet or griddle and add a little oil. I use oil for the first batch then from there I skip the oil as my skillet is usually hot enough for the pancakes not to stick. You’ll know the pancakes are ready to be flipped when these gorgeous bubbles appear. 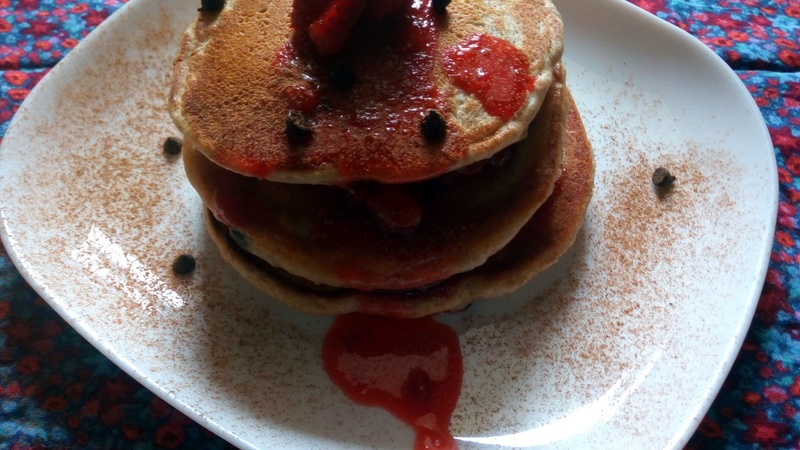 I served mine with my homemade strawberry sauce with a sprinkling of cinnamon powder and some chocolate chips. 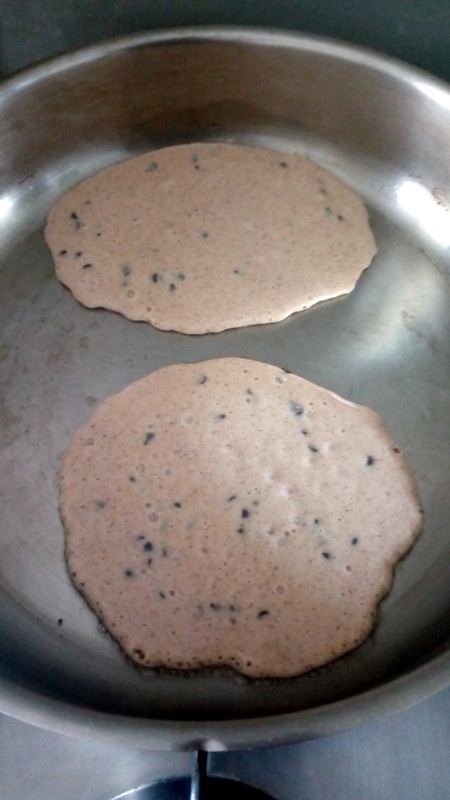 The first time I made these pancakes was over the August holidays when my small brother, Mr. Jobs was on school break. He claims that he doesn’t eat pancakes but the sight of chocolate chips lured him and he thoroughly enjoyed these pancakes. 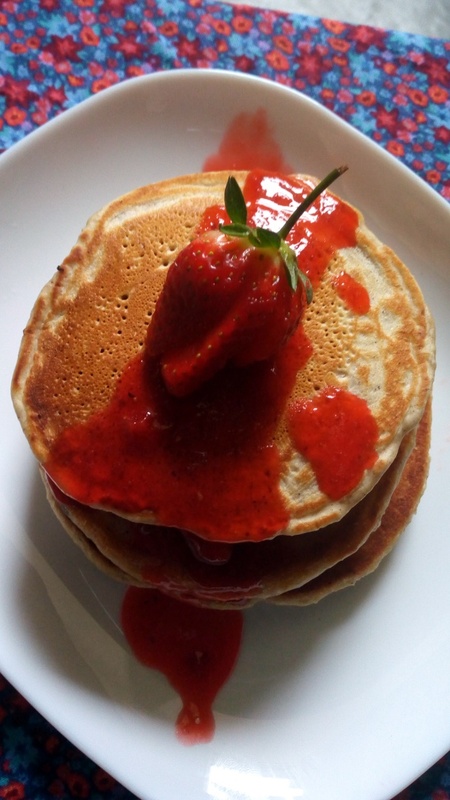 So go ahead wow some people with these gorgeous, fluffy and delicious pancakes and even go the extra mile and make a strawberry sauce to serve them with. 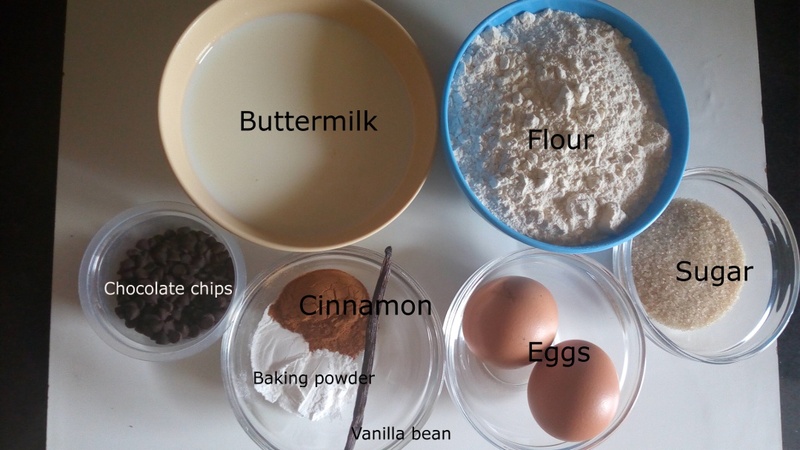 In a bowl,combine all the dry ingredients except the chocolate chips. In a jug combine the wet ingredients. 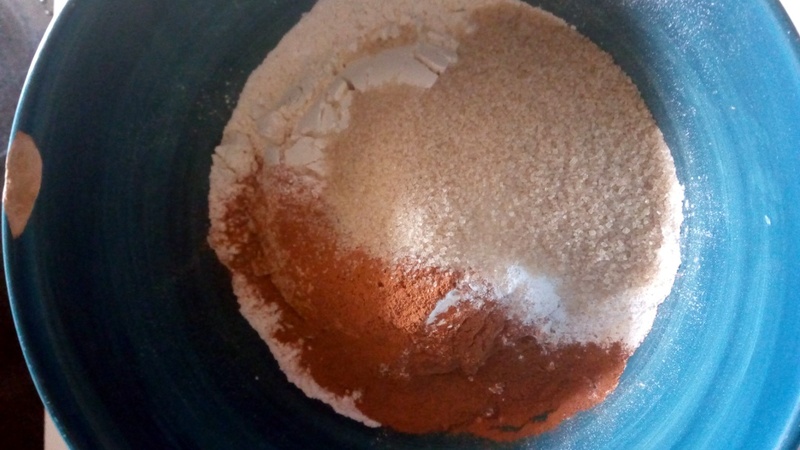 Make a well in the dry ingredient mixture then pour in the wet ingredients and combine. Rest the batter for a short while before frying them up. 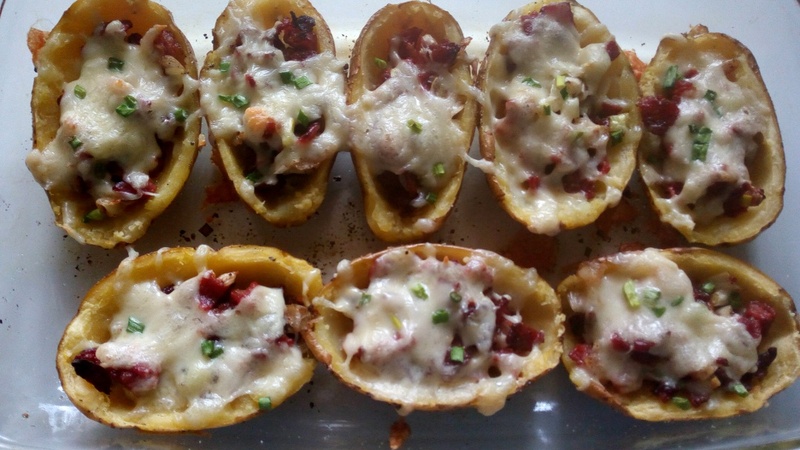 In a hot skillet or griddle add some little oil and then pour in the batter in small batches. Fry until air bubbles appear then flip to cook the other side. Repeat until all the batter is finished. 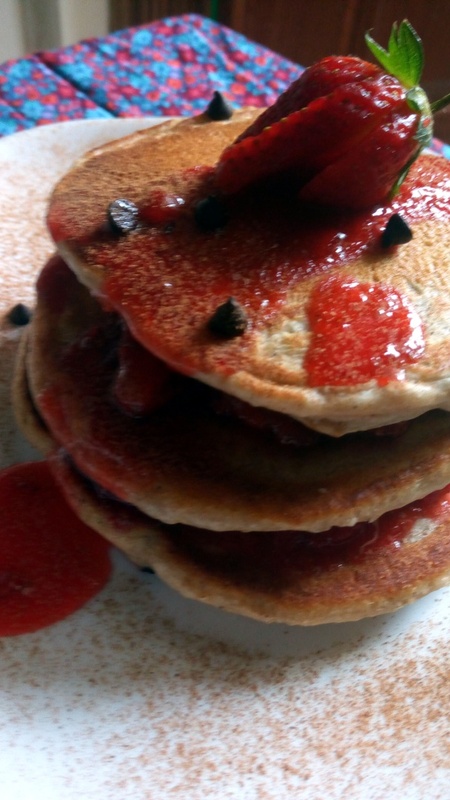 Serve warm with your favourite pancake syrup, honey or some homemade strawberry sauce.